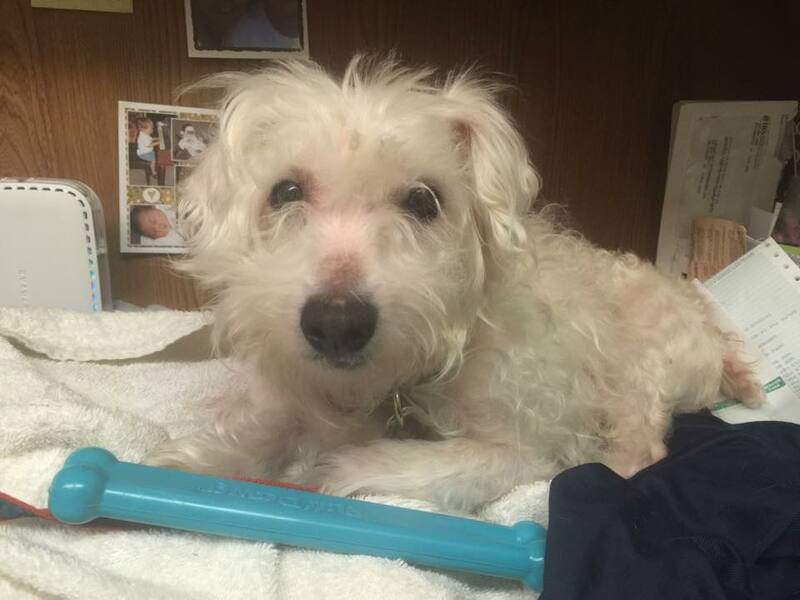 Iggy–foster failure | One Dog More! Iggy is a Maltese mix. He is 4 years old and weighs 10 pounds. He is neutered, up to date on shots, microchipped and HW negative. Iggy is great with cats. Iggy would do best as an only child and in a home without small children. Iggy has some human food issues and can be nippy when being given treats. This entry was posted in Adopted! and tagged male, Maltese by onedogmore. Bookmark the permalink. Aloha Iggy and a Maltese salute!